Lyndsey joined the GluckWalrath team in May of 2014 working her way from receptionist to legal assistant. She provides a wide range of support for our clients, attorneys and paralegals within the areas of Bond financing and litigation. She received an Associate degree in Liberal Arts and an Associate of Science degree from Broward County College, Davie, Florida. 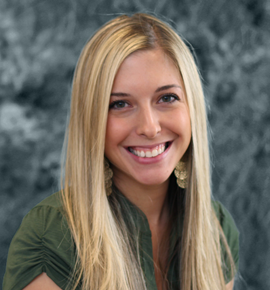 Lyndsey began her legal career in 2008. Before joining the GluckWalrath team, Lyndsey was employed with Shooster, Kahn & Kleinman in Margate Florida working within the civil litigation field. She obtained her degree in Paralegal Studies from Mercer County College and is a certified paralegal.